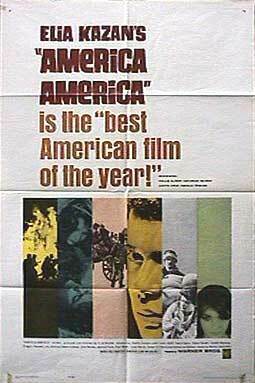 America, America (alternative title The Anatolian Smile) is a 1963 Elia Kazan. film about a young Greek who leaves his small town in Anatolia in 1900 dreaming of a better life in America. It was directed and written by Kazan, from his own book, and stars Stathis Giallelis, Frank Wolff (actor), Elena Karam and Lou Antonio. and won the Academy Award for Best Art Direction-Set Decoration, Black-and-White. In 2001 the United States Library of Congress deemed the film "culturally significant" and selected it for preservation in the National Film Registry.